We proudly serve our Long Island community every day by helping our customers maintain a clean, healthy, happy home. 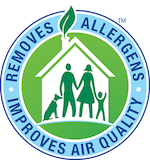 Our industry-leading process combined with our non-toxic, green-certified solution means that we'll leave your home not only cleaner but safer and healthier, too. Our professionally-trained technicians here at Crystal Chem-Dry are dedicated to providing an outstanding cleaning experience and will treat your home and family with the respect you deserve. 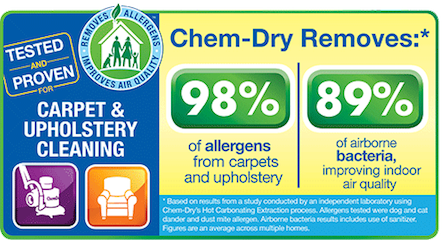 The Chem-Dry carpet cleaning process uses 80% less water than typical steam cleaning, so carpets dry within hours, not days. Our primary carpet cleaning solution is carbonated and, just like club soda, as it penetrates deep into your carpet's fibers, it lifts the dirt from deep within your carpets so it can be whisked away with our powerful extraction equipment giving you the most thorough clean. Using this method we are able to avoid the threat of mold and mildew in your newly cleaned carpets. We are also using products that are Eco-Friendly and are dedicated to keeping your home and environment safe and healthy. We proudly serve Long Island, NY, specifically: Syosset, Garden City, Dix Hills, Massapequa, Merrick, and Bethpage. I highly recommend Crystal Chemdry - They came on time and did a professional job with no drama. My carpets are clean and new looking. My only regret is that I didn't use them sooner. Used them for twenty years always do a great job! Nice family business! Paul & Cathy are phenomenal. What a great operation! As the national VP of Franchise Services for Chem-Dry, it is a pleasure to work with Crystal Chem-Dry. You'll love their service and commitment to satisfaction.